On Thursday, July 17, 2014, the Federal Energy Regulatory Commission (FERC) published a Notice of Proposed Rulemaking (NOPR) that proposed to approve CIP-014-1, Physical Security (PDF), with two modifications. The NOPR did find that the proposed CIP-014-1 standard "...largely satisfies the directives in the (March 7, 2014 FERC) order. However, the Commission proposes to direct NERC to develop a modification that would specifically allow governmental authorities, including FERC or another appropriate federal or provincial authority, to add or subtract facilities from an entity's list of critical facilities." FERC does note in their announcement that they only expect the addition/subtraction of substations to be exercised only "rarely." The second proposed modification from FERC directs NERC "...to revise wording that it believes could narrow the scope and number of identified critical facilities. Specifically the NOPR seeks comment on the Commission's concern that NERC's use of the phrase 'widespread instability' rather than 'instability,' as stated in the March order, could create ambiguity since the term 'widespread' is not defined." The NOPR also requests NERC submit two informational reports. The first report would have NERC analyze whether CIP-014-1 should be applicable to additional types of facilities beyond substations. The second report would have NERC provide analysis on grid resiliency exploring what can be done beyond CIP-014-1 to maintain reliable operation of the Bulk Power System when faced with the loss or degradation of critical facilities. 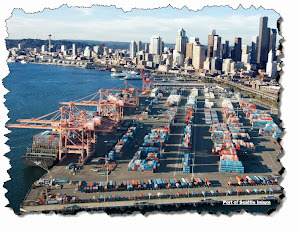 In addition to the quick response by FERC when Pacific Gas & Electric's Metcalf substation was physically attacked in California on April 16, 2013, there have been several meetings and analyses produced examining how the industry should respond to physical attacks on critical substations. For instance at the National Association of Regulatory Utility Commissioners (NARUC) summer meeting in Dallas on July 16, 2014, they passed a resolution on physical security of electric grid (PDF). 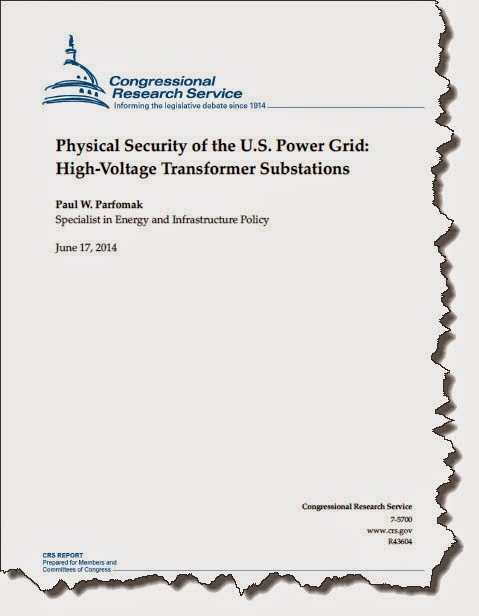 Overall, an excellent summary of the current situation regarding physical security concerns for the electric grid is the June 17, 2014 Congressional Research Service (CRS) report Physical Security of the U.S. Power Grid: High-Voltage Transformer Substations (PDF) . This report is an encyclopedic review of the current state of physical security concerns and issues related to the larger transformers and substations. distribute the load. There are fewer than 20 of these railcars in the Unites States rated to carry 500 tons or more, which can present a logistical problem if they are needed in a transformer emergency. Some specialized flatbed trucks can also carry heavy transformer loads over public roadways, but the few such trucks that exist have less carrying capacity and greater route restrictions than the railcars because HV transformers may exceed highway weight limits. With the recent announcement from FERC, the very recent resolutions from NARUC, the tragic events associated with current wars in Europe and the Middle East, it would not surprise me if there are more conversations regarding the physical protection of the electric and gas grids.